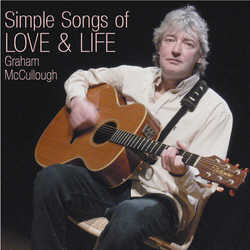 All Graham’s songs have been produced by John, with a simple, intimate acoustic treatment which engages the listener in the lyric, This is not trendy music but timeless, sincere messages and emotions. Graham’s voice and guitar are complemented by subtle additions from Bob Brace on piano or violin. deserves it with excellent songs and of course being such a great person. A million thanks for Graham's debut three track EP - brillaint stuff! at the station - seems to be a favourite with a couple of the presenters. Hope he has a great success with it - he deserves it, Nick - Cuillin FM. I have played all three tracks, (track one was best for me) an exellent release! Many thanks Steve/Ronnie. BCB FM. Great songs - great guitar work. Steve - Forest FM.